RECIPE VIDEO ABOVE. 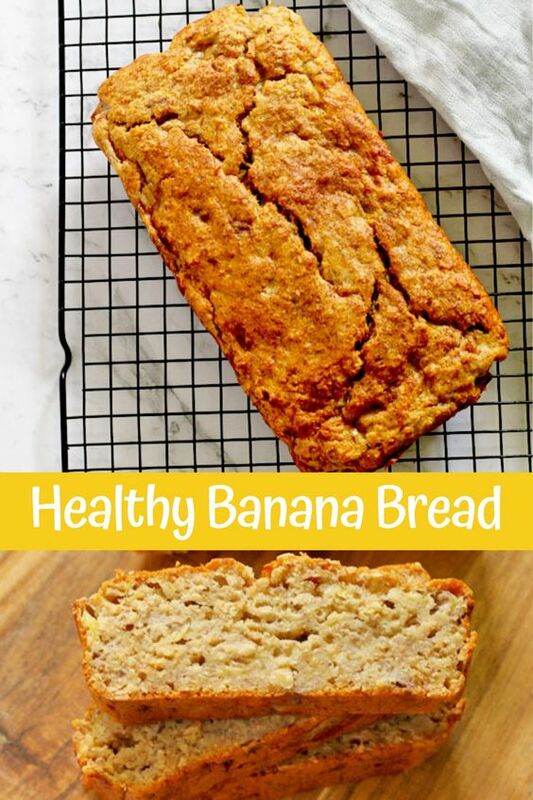 This healthy banana bread is filled with good for you ingredients so you can enjoy a slice guilt-free. The perfect treat when you want something sweet without all the added sugar. Pre-heat oven to 160C and line a loaf pan with baking paper. In a bowl combine rice malt syrup and olive oil and stir to combine. Add in milk, eggs and bananas and combine. Add remaining ingredients (except for 1 tsp of cinnamon) and mix well to combine. Pour mixture into a loaf pan and dust reserved tsp of cinnamon on top. different! You want the loaf to be lightly browned and a skewer to come out clean. Cool in tin for 5 minutes then remove and cool on a rack for another 10-15 minutes. Oil: Use a mild flavoured olive oil or you can use coconut oil instead. Liquid Sweetener: You can use honey or maple syrup instead. Flour: You can use white all purpose flour instead. Optional Topping: Rolled oats & sliced banana make great decoration for banana bread, but are entirely optional. Lightly dust some rolled oats over the mixture before baking. If you have an extra banana lying around, slice it in half and push it into the mixture prior to baking. Storing: Store in an airtight container for a few days at room temperature OR wrap individual slices in cling wrap and pop in an airtight container or freezer bag in the freezer for up to 3 months. Nutrition: Nutrition information is a rough estimate based on 1 slice.